Green Diamond Resource Company to log near Klamath, CA and the Klamath River. This THP is 1.5 miles south of the town of Klamath, CA and Highway 101 near Redwood National Park at an elevation of 37 to 900 feet. 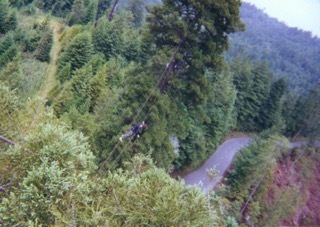 Green Diamond Resource Company is planning a tractor and cable logging operation on steep and unstable slopes in redwood and Douglas fir forests. The THP area flows into the Klamath River which is listed as an impaired watershed for sediment, temperature, nutrients and dissolved oxygen (unit B is adjacent to the Klamath River). There are 20 landslide terrain sites in the THP area including 7 sites in unit B, 10 sites in unit C, 2 sites in unit E, and 1 site in unit F. Most of the landslide terrain sites are related to failures along roads and skid trails, and within steep watercourse areas. Green Diamond Resource Company is planning to use heavy equipment on an unstable area along the D-120 road to fix a failing watercourse crossing. 20 road drainage sites are planned for work including rocking, dip construction, ditch cleaning, culvert repair/replacement, sinkhole, cut bank/fill failures and restoration of washed out crossings. 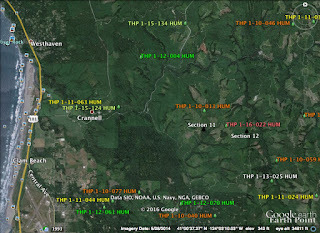 There are 5 marbled murrelet stands close to the THP area including 1 stand within .25 mi of unit B, 1 stand within .25 mi of units F and G, and within .25 mi of unit A on Redwood National Park property. Spotted owl nesting territories are located within .25 mi of units A, B, C, and within .5 mi of units D and E.
Green Diamond Resource Company to clearcut log SE of Trinidad, CA. 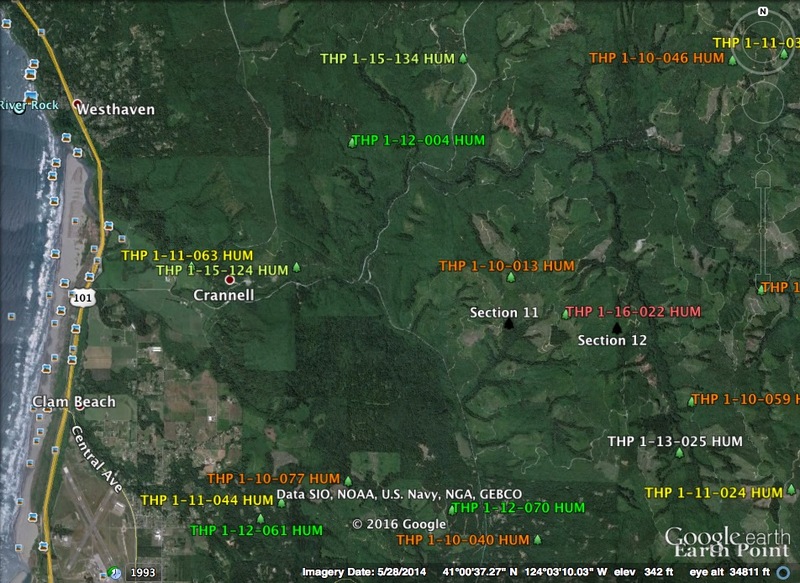 This THP is about 6 miles SE of Trinidad, CA and about 4 miles east of Highway 101. Green Diamond Resource Company is planning a mostly clearcut feller buncher, shovel and cable logging operation in redwood, Douglas fir, Sitka spruce, grand fir and western hemlock forest. The THP area drains into the Little River which is listed as an impaired watershed. Three osprey nests are located within .25 mi of the mainline road CR2100, and there is a peregrine falcon site 1 mile SE of unit B. Southern torrent salamanders and tailed frogs were reported near unit B. Spotted owl nesting territories are within .25 mi of unit A, and within .5 mi of unit B.
Humboldt Redwood Company to log trees up to 40” DBH within a few miles of Eureka, CA. This THP is 3 miles east of Eureka, CA and Highway 101 at an elevation of 50 to 600 feet. Humboldt Redwood Company is planning a tractor and cable logging operation on steep and unstable slopes in redwood, Douglas fir and grand fir forests. The THP area drains into Freshwater Creek which is listed as an impaired watershed for sediment and siltation. There are 7 landslide terrain sites including debris slides and debris torrents mostly related to embankment failures. Humboldt Redwood Company is planning to use ground based equipment in areas designated for cable logging on slopes between 50% and 65% grade in unit #1, and use ground based equipment on slopes between 50% and 65% grade with a moderate erosion hazard. 15 road drainage sites are planned for work including rocking, dip construction, culvert repair/replacement and restoration of washed out crossings. There are 2 spotted owl nesting territories within 1.3 miles of the THP area. 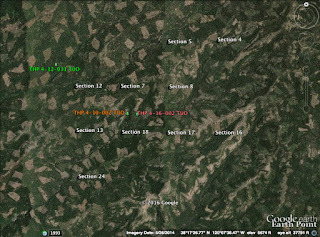 Sierra Pacific Industries to clearcut log east of Dorrington, CA. 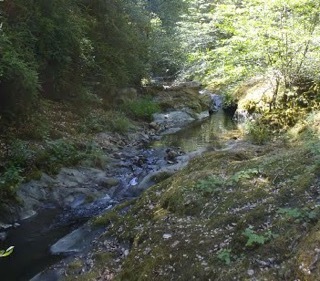 This THP is about 6 miles east of Highway 4 and Dorrington, CA and about 3 miles NE of Calaveras Big Trees State Park at an elevation of 5,600 to 6,400 feet. Sierra Pacific Industries is planning a mostly clearcut tractor based logging operation in Ponderosa pine, sugar pine, white fir, red fir, Douglas fir and incense cedar forests. The THP area drains into the North Fork of the Stanislaus River. SPI wants to use ground based equipment on existing roads for skidding operations inside class II (mid sized) watercourses within units 4784 and FB1, and use class III (intermittent) watercourse crossings during the winter period. 35 road drainage sites are planned for work including rocking, dip construction, culvert repair/replacement and re-construction of washed out crossings. There was a 2009 goshawk nest reported in section 33, and Sierra Nevada yellow legged frogs were reported at crossings for haul roads 5N02 and 5N13, and at a waterhole near road 5N13. CA spotted owl territories were reported in sections 9, 11, 13, 17, 21 and 33. Green Diamond Resource Company to log on steep and unstable slopes near the Klamath River. This THP is about 3 miles SE of the towns of Klamath and Klamath Glen where the Klamath River meets the Pacific Ocean near Highway 101. Green Diamond Resource Company is planning a tractor and cable logging operation on steep and unstable slopes in redwood, Douglas fir and grand fir forests. The THP area flows into the Klamath River which is listed as impaired for dissolved oxygen, temperature and nutrients. There are multiple road failure sites including 2 small cut bank failures on the SA-500 road south of unit B, cut bank and fill slope failures on the northern portion of the SA-500 road in unit B, cut bank and fill slope failures on the SA-500 41R road segment, and 3 road points with cut slope and fill failures. Green Diamond Resource Company is proposing to re-construct several road segments across unstable areas with cut bank and fill failures. Six road drainage sites are planned for work including rocking, dip construction, ditch cleaning, culvert repair/replacement, and restoration of sinkhole/washed out crossings. There are 2 bald eagle territories 1.9 mi NW and 1.3 mi NE of the THP area, and there is a historic great blue heron rockery 1.9 miles NW of the THP area. Haul road SA-10 (S Line Road) comes within 830 feet of potential marbled murrelet habitat. 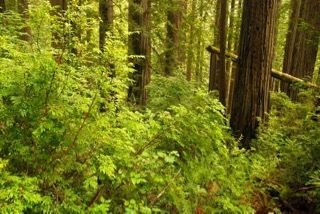 Mendocino Redwood Company to log on steep and unstable slopes near Navarro, CA. This THP is about 6 miles east of Navarro, CA and about 11.3 miles west of Ukiah, CA at an elevation of 560 to 1,680 feet. Mendocino Redwood Company is planning a tractor and cable logging operation on steep and unstable slopes in redwood and Douglas fir forests. 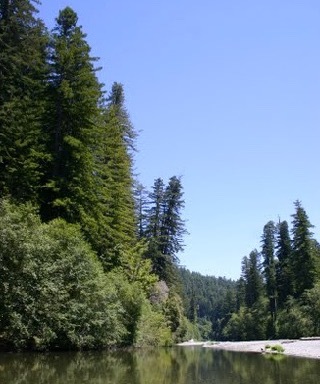 The THP area drains into the Navarro River which is listed as impaired for sediment and temperature. Mendocino Redwood Company is planning to use tractors inside areas designated for cable logging to swing yard, for use in areas of poor deflection and for tail holds. They also want to re-construct a road inside an unstable area (debris slide), use 2 existing roads that cross debris slides, and use 4 existing landings and an existing seasonal road within watercourse areas of McCarvey Creek. 10 road drainage sites are planned for work including rocking, dip construction, ditch cleaning, culvert repair/replacement and restoration of washed out crossings. There is 1 spotted owl territory within .7 miles of the THP area. 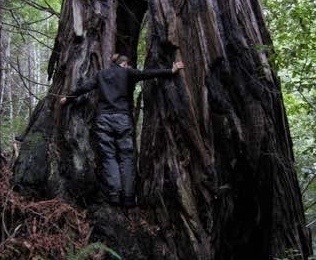 Humboldt Redwood Company to log inside large tree marbled murrelet stands SE of Eureka, CA. 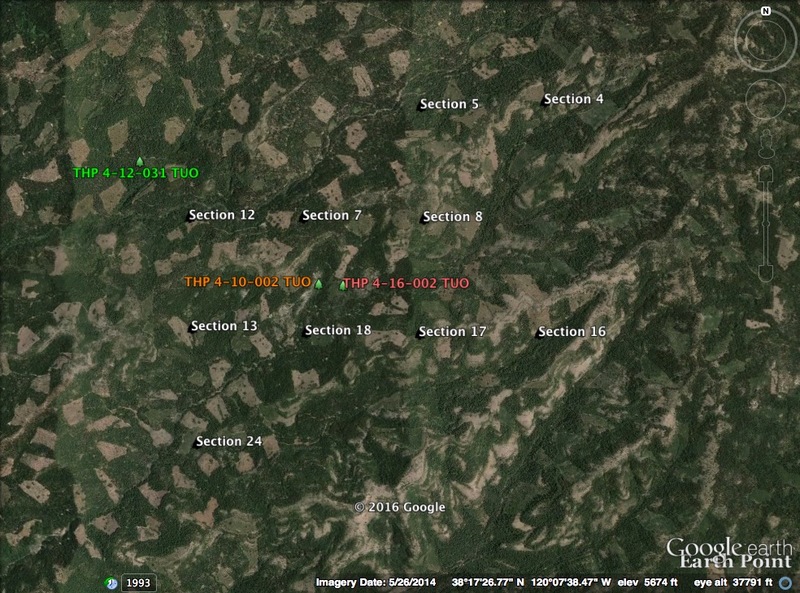 This THP is about 8 miles SE of Eureka, CA and about 8.9 miles NE of Carlotta, CA at an elevation of 620 to 1,560 feet. Humboldt Redwood Company is planning a tractor and cable logging operation on steep and unstable slopes in redwood, grand fir and Douglas fir forests. There are 35 landslide terrain sites within the THP area including multiple debris slides, disrupted ground, micro gullys, inner gorges, cut bank failures and block slides. The THP area flows into the Elk River which is listed as an impaired watershed for sediment and siltation. Logging is proposed inside large tree marbled murrelet stands within units 1, 2 and 3 containing stands 346C, 347C, 348C, 349C, 356C, 403D, 440D, 650E, 652E, 653E, 659E, 661E, 662E, and 674E. Humboldt Redwood Company wants to use ground based equipment inside areas designated for cable logging to yard, swing yard, bunch logs, construct fire breaks and tail holds. They also want to use an existing landing inside a watercourse within unit 3. Fourteen road drainage sites are planned for work including rocking, dip construction, culvert repair/replacement and restoration of sink holes and washed out crossings. There are 6 spotted owl territories within 1.3 miles of the THP area.